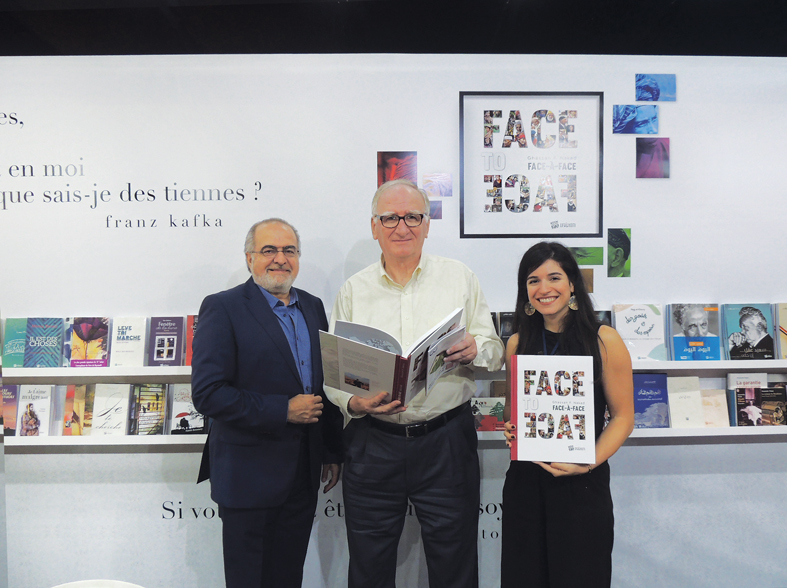 This year, the 2018 Francophone Book Fair in Beirut was held in a brand new venue, under the theme of «Digital Cultures», with a space for discussion and roundtables with authors around original themes and 130 square meters dedicated to new technologies such as the 3D printer, and the presence of start-up specialists. Meetings with fiction novelists, writers in social sciences and comics were organized, but also two cinematographic screenings alongside other cultural activities. Hereinafter, we have selected two signatures from Editions Dergham. Ghassan Nakad is passionate about photography in the streets, on the banks of the Potomac River or in the French countryside, as he wanders. Although his pictures are mostly portraits, he also likes what he calls «scenes of life» – people met on a park bench, crowded markets or nearby streets. He visited several countries and discovered a large number of civilizations. 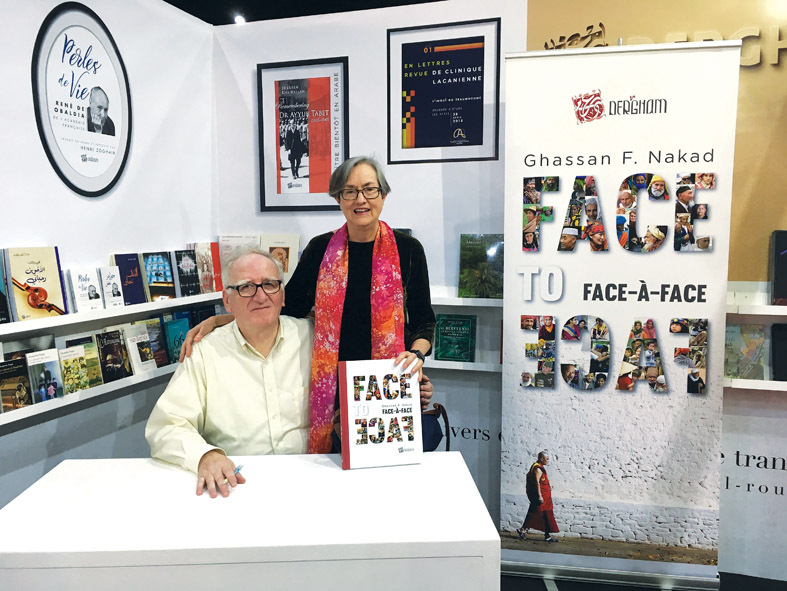 Ghassan Nakad with the publisher Nadim Dergham. © Editions Dergham. The author began writing her story just after the brutal death of her older sister. All she could do was write, but without knowing that she was making a book … And now, the book is ready, she considers it as a tribute to her sister. A story combined with fiction, the story of a schizophrenic woman.